Ideally placed for the Kowloon bay International Trade & Exhibition Centre and adjacent to the charming waterfront Kwun Tong Promenade, the hotel offers guests stunning views across the harbour from the higher floors, and magnificent night time vistas of Hong Kong Island East, Victoria Harbour, Kai Tak Cruise Terminal and Lei Yue Mun. 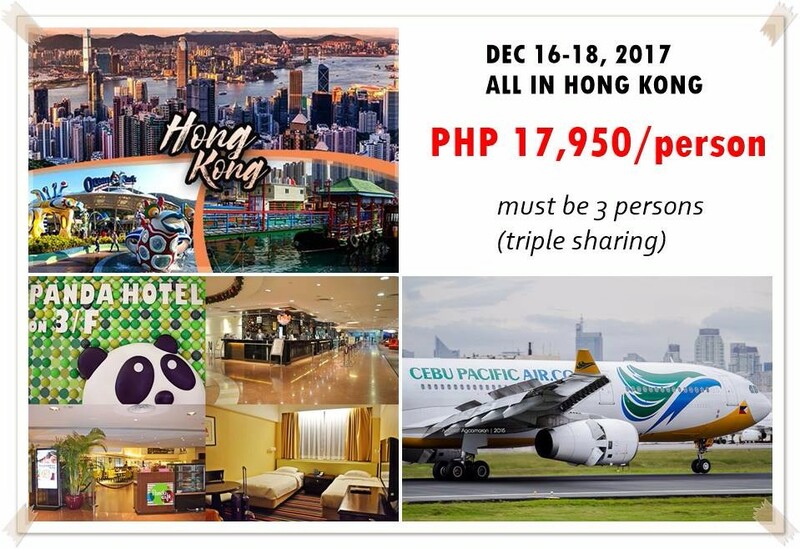 Twin/triple sharing & child with bed: PHP 12,750 ALL IN!!!! 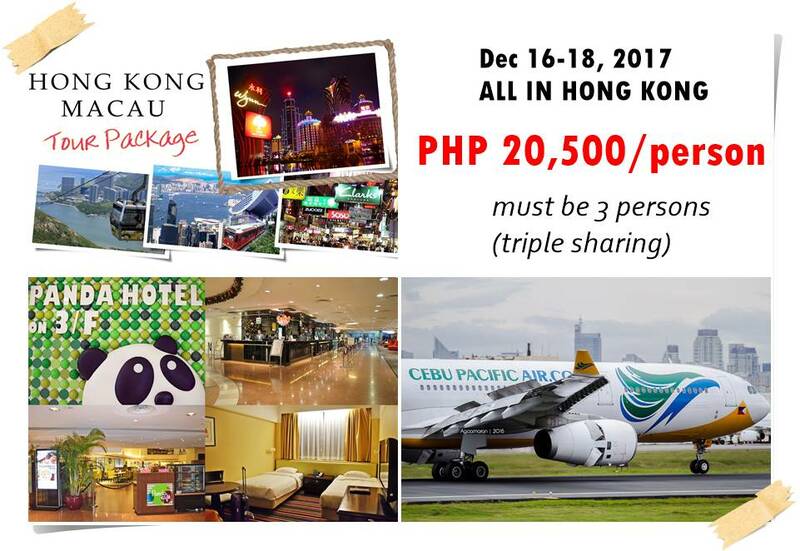 SILKA FAREAST or PANDA or similar class “OUTSIDE BF” Twin/triple & child with bed: PHP 14,200 ALL IN!!!! HURRY!!! While rooms and airline seats last. 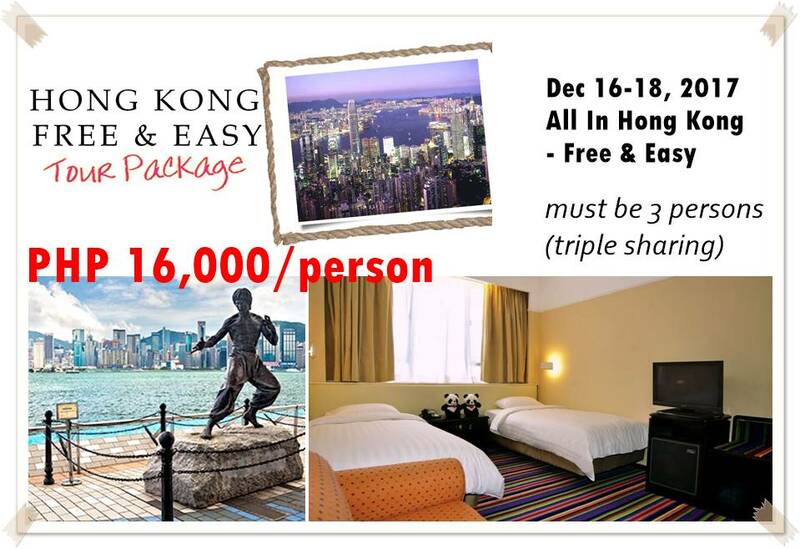 Avail of our ALL IN HONG KONG TOUR PACKAGE. We require only 50% Deposit to secure the rooms. 50% balance payable on or before November 15, 2017. DAY 1 -Arrival Hong Kong, meet and transfer to hotel. Free time. souvenir outlet, Aberdeen Fishing Village pass by mid-levels of Victoria Peak (Sampan ride is Optional). DAY 3 -Breakfast outside hotel, Free time until transfer to airport. Copyright © 2017 Wanderstruck Travel & Tours, All rights reserved. 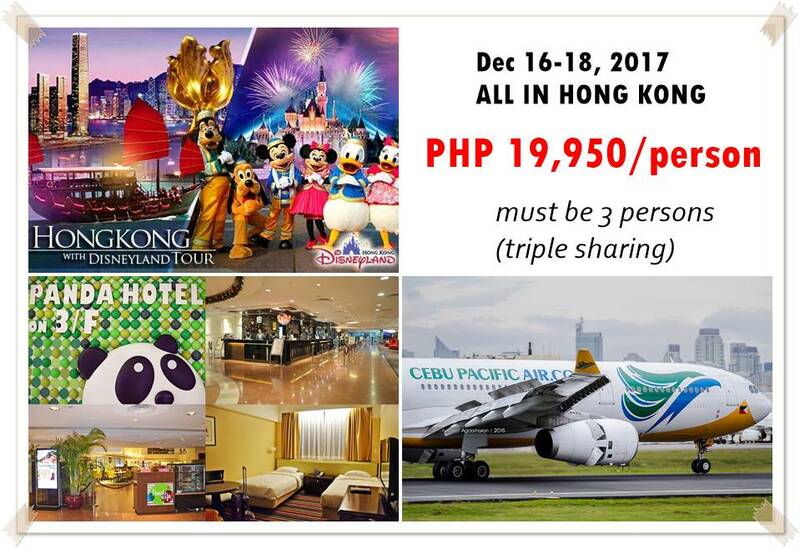 3D2N HONG KONG FLASH SALE!